Confident and appropriate life-saving treatment can be given by anyone, from first responders to untrained bystanders, thanks to the Lifeline VIEW. The design of this product is both sleek and user-friendly, yet has been built with high grade specifications, with the inclusion of the most proven biphasic waveform. 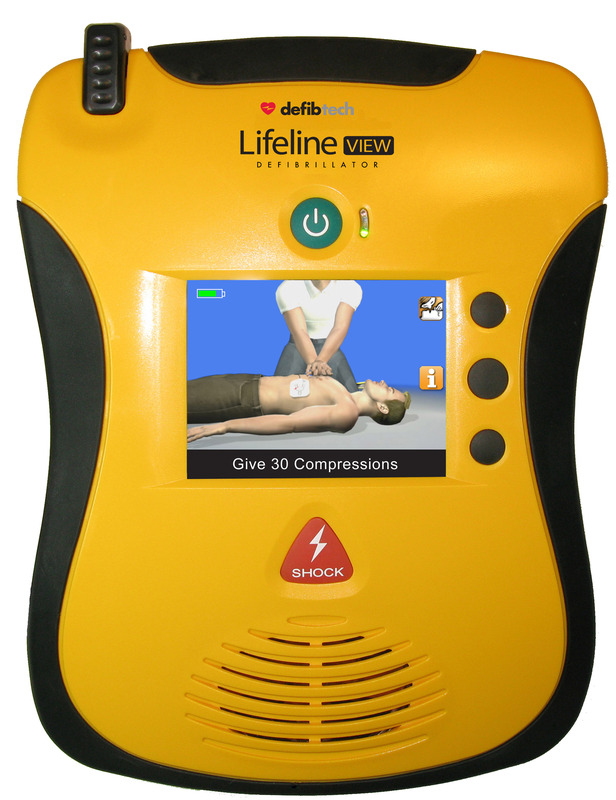 The Defibtech Lifeline VIEW is also the world's first and only Defibrillator with a full-colour interactive display, which shows the operator step-by-step instructions in video form in order for them to perform CPR, rescue breathing and external defibrillation. Confidence can be held high in the rescue ready state of the Lifeline VIEW. The Lifeline VIEW gives clear guidance for using and maintaining the device, as well as supporting upgrades and enhancements. Showing How to Save Lives and Giving You the Confidence to Do It. When sudden cardiac arrest strikes, there is no time to lose. You need to be sure that your AED is ready for rescue. Most other AEDs only signal when there's a problem. The Lifeline VIEW's one touch status screen gives you everything you need to know that the unit is up to date and in working order - without turning it on. As protocols change over time, your unit can be easily upgraded in the field with a data card. Data from the unit can be recorded or retrieved from the device using a data card. With more than 240,000 units in the field, Defibtech has drawn accolades for its commitment to save lives by producing the best AEDs medical technology can offer. Defibtech is an industry leader that constantly drives research and innovation to the next level of excellence.